My priority right now is finishing the Mirror Centennial Quilt. This morning I got 3 of the four rows together, and I have to say, I really like this block-by-block technique. 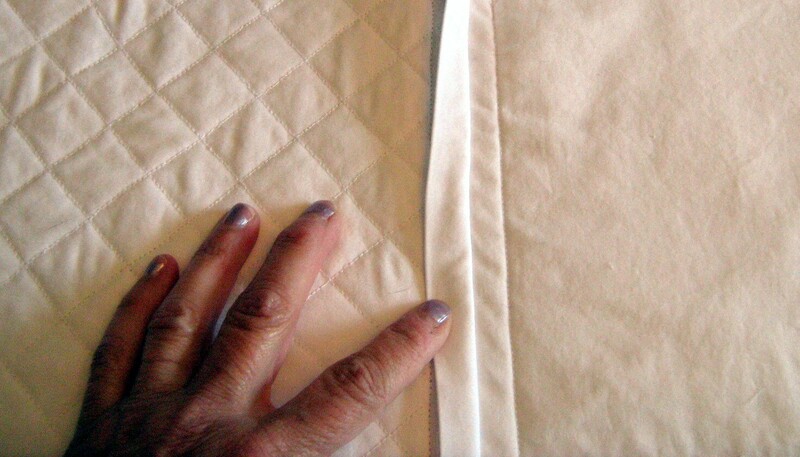 The blocks are attached by narrow sashing on the front and by wider sashing, folded for a clean edge, on the back, which hides the butting-up of the already-quilted blocks. 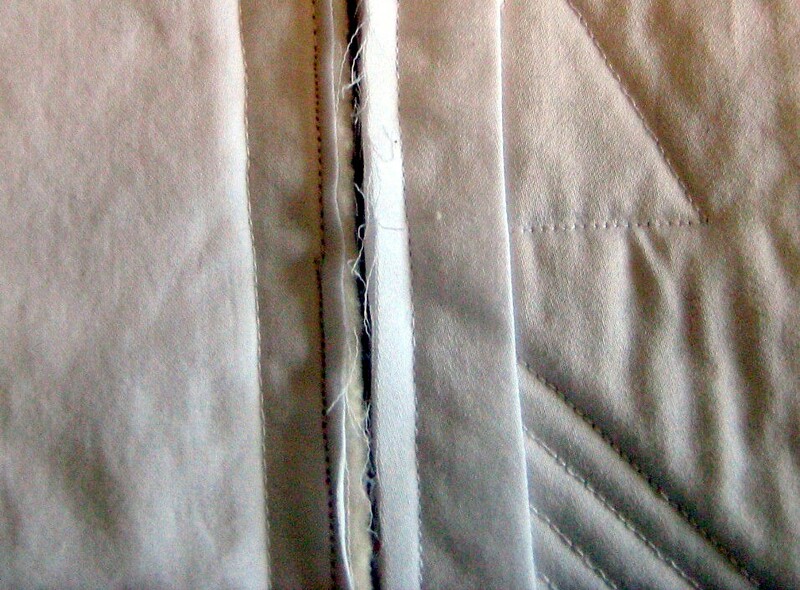 Before hand-sewing the back sashing, though, I'll herringbone the edges of the butted blocks together for extra sturdiness. My deadline is May 23, as I am taking the quilt down to Dawn Hunt in Calgary for appraisal, and I leave May 24. Onward and upward! This is looking good. It will be a real treasure. I have always wondered how workable this way of making a quilt was. Will be interested to know if you still like it when you are done.